Have you ever had a semi-impacted wisdom tooth? Did it hurt? Was it extremely annoying? Well, most of the times, when a semi-erupted wisdom tooth hurts that bad is due to pericoronitis. Let’s read all about it! Pericoronitis is inflammation of the gum tissue surrounding the crown portion of a tooth. Pericoronitis usually affects the lower third molar (wisdom tooth) where gum tissue overlaps the chewing surface of the tooth. It can be either chronic or acute. Chronic pericoronitis is a mild persistent inflammation of the area. Acute pericoronitis is when the symptoms intensify to fever, swelling, and pain, which indicate a spreading infection. 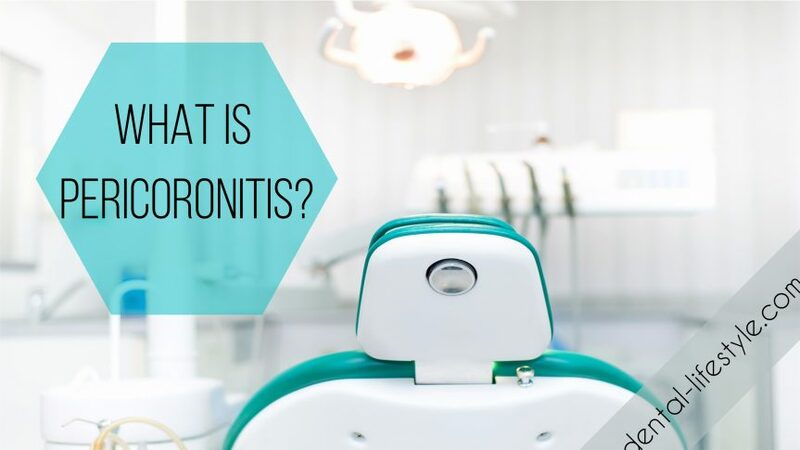 Pericoronitis is differentiated from gum disease (or periodontitis) in that it occurs specifically around a partially erupted tooth where the tooth has not completely emerged from the gum overlying it. The cause of this condition is similar to the formation of a gum abscess in periodontitis by the entrapment of debris under the gum tissue. Most of the times this inflammatory response is triggered by bacterial infection. The most well-known bacteria responsible for the incidence are Streptococcus, Bacteroides, Fusobacterium etc. Acute infection of the soft tissues covering the semi-impacted tooth and the associated follicle can also progress to pericoronitis. Infection caused by the antagonist tooth or trapped food with the gumline is also to blame. What are the symptoms of it, what will I feel? Severe pain that radiates to the ear, temporomandibular joint, posterior submandibular glands. This acute infection is not a particularly quiet one, meaning it can spread into the surrounding tissues of the face and neck. How is it diagnosed by my dentist? Your dentist will examine your wisdom teeth to see how they are coming in and determine if they partially erupt. He or she may take an X-ray to determine the alignment of the wisdom teeth. Your dentist will also take note of any symptoms such as swelling or infection and will check for the presence of a gum flap around a wisdom tooth. To manage the pain, over-the-counter medications such as acetaminophen (Tylenol) or ibuprofen (Advil) are used. If it is localized to the tooth and there has been no spread of the infection, the area is thoroughly cleaned out under local anesthesia by a dentist. If there is swelling or fever, oral antibiotics such as amoxicillin or erythromycin will be prescribed. When the tooth can be useful and there is a desire to keep the tooth, minor surgery can be performed to remove the operculum. This will allow better access to properly clean the area and prevent the accumulation of bacteria and food debris. In some unfortunate instances, the gum tissue may grow back and create the same problem. Removal (extraction) of the tooth is the most common treatment method since wisdom teeth oftentimes are poorly positioned and do not erupt completely. This method eliminates any future occurrences of pericoronitis. In rare instances, the symptoms become so severe that an individual needs to go the hospital emergency room to seek care due to the rapid spread of infection.